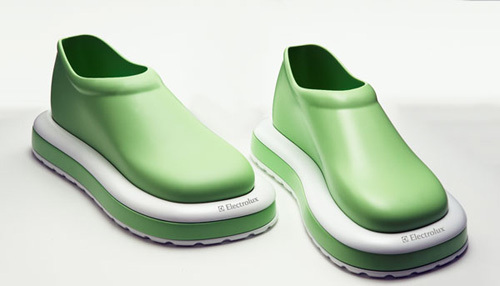 Electrolux, makers of everything vacuum (translation: evil) tipped T3 to their new vacuum cleaner shoe concept design. There is no information on the functionality of their design, such as how the shoes will create suction, find power, or store dirt, but these are just details, people. The only real flaw I can see is that the shoes still require you to actually walk around the house. Maybe if they could attach a vacuum to my wheeled computer chair, or a Segway, we'd have a winner.